We have had beautiful weather this week. Sunny and highs in the 30’s – great for northern Minnesota in February. The kids have been off from school all week and have come home from daycare soaked after playing outside all day. 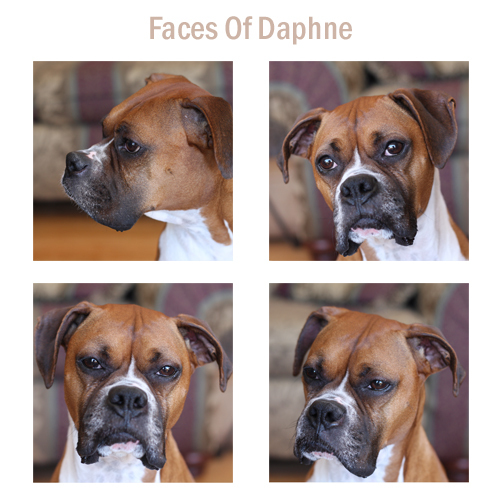 I think Daphne is getting spring fever with the rest of us. I couldn’t help but take her for a long walk during my lunch hour yesterday. Now that the snow has almost cleared from the streets, she was able to take a walk without her dog booties. Yeah, our dog not only wears a coat when it’s cold outside, she has sensitive paws and needs dog booties to walk/run in the snow. Part of the problem is the salt that is put on our streets during the winter. We found booties for her that work great and are also inexpensive from a local company – doogbooties.com. 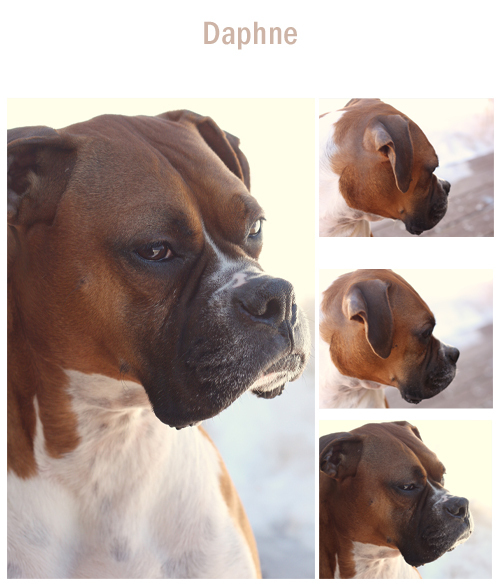 If those tough dogs in the Iditarod can wear them, our sensitive Boxer can wear them too. 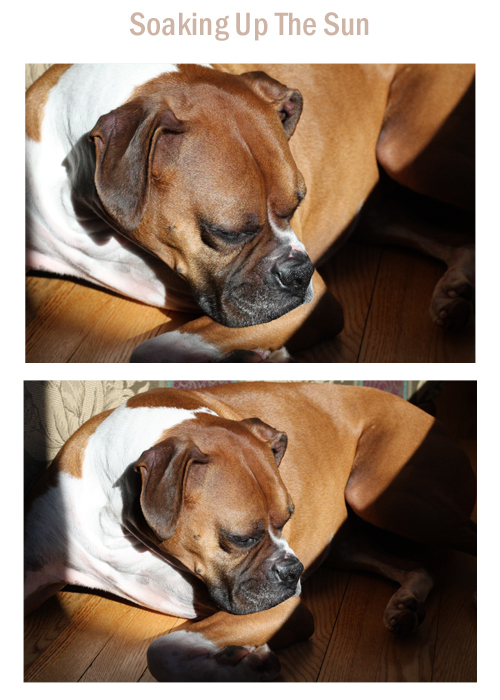 After we returned from our walk, she rested near our front window and soaked up the sun’s warm rays.